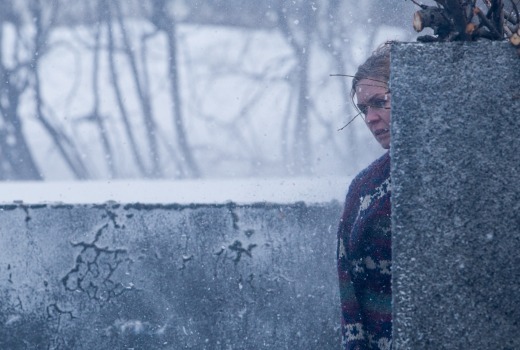 In June SBS On Demand will screen 2015 Icelandic crime thriller Trapped. The storyline is described as being akin to an Agatha Christie locked room murder, with touches of noir cinematography and modern crime elements. It is directed by Baltasar Kormaku (Everest) and stars Olaf Darri Olafsson, co-founder of the Icelandic theatre company Vesturport, as police detective Andri Olafsson. All 10 episodes will be available from 16 June at SBS On Demand. Set in a small Icelandic town in a deep fjord in the east, Trapped follows the story of town sheriff Andri Ólafsson (Ólafur Darri Ólafsson) as a ferry approaches the town and a dead body is discovered on the shore. Without a head, limbs and legs, this is an unrecognisable torso. Meanwhile the weather is getting worse. To be able to leave town, the residents have to drive over a heath. It’s now impassable because the snow is closing off the town from the rest of the world. As sheriff Ólafsson is waiting for the forensics to arrive from the city, he has come to the conclusion this was murder, a recent one – and the killer is most likely either on the ferry or someone still in town – someone trapped. Is this show going to be available on all devices? I’m going to use my windows phone as an example cause that’s what I have but I know this issue occurs on sbs on demand apps on other devices as well. The issue is that not all shows are available on all devices. So of the shows I’ve recently watched unreal was available but being mary jane, bosch and orphan black are not available on my windows phone. The thing is I don’t like the sbs on demand website. Its not user friendly and I hardly use it but I do like the old app that hasn’t been updated in a few years on my windows phone. I sometimes use the fetch app but the picture quality isn’t great.